The English language is full of speed-based phrases we use every day. Moving at a snail’s pace? Drink some coffee in the blink of an eye. Need to get a move on? Drive fast and furious (within the speed limit, of course). In the professional world of business, technology equals success. And today’s technology relies on two things: power and speed. In the greater Aberdeen area, Comcast is working to expand and improve both in their business services. Comcast Senior Director of Communications, Walter Neary, is proud of the work done by the company so far. 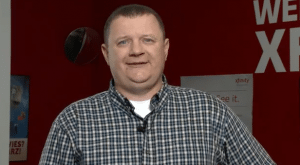 “We’ve been filling out Aberdeen for some time at the request of the local business community and now the vast majority of the commercial area can enjoy the benefits of Comcast Business,” Neary explains. According to Neary, the latest Comcast Business expansion was completed throughout the summer and fall of 2016. It incorporated over 30 buildings and more than 35 businesses from the Port Industrial Road to First Street at a cost of approximately $60,000. Aaron Mefford, Director of Operations in Aberdeen, is excited about the hard work the Grays Harbor team has done to launch this new upgrade. Photo courtesy: Comcast. 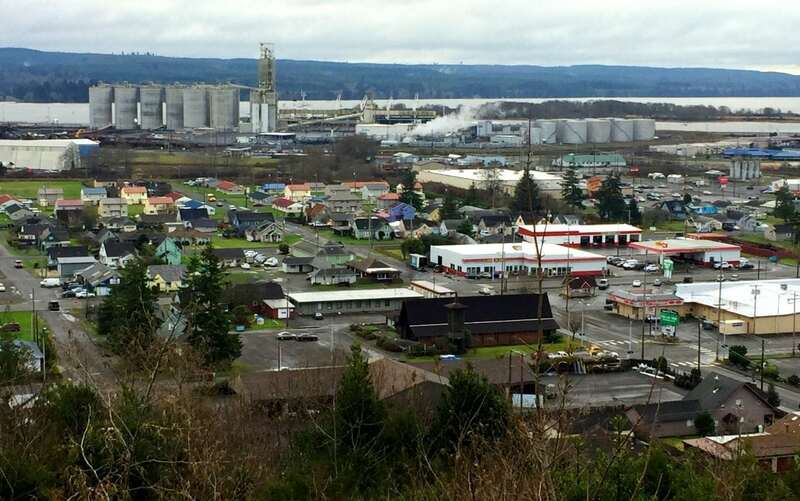 Twenty year Comcast employee and lifetime Grays Harbor resident, Aaron Mefford, the Director of Operations in Aberdeen, shares more about the work that has been done in the Port of Grays Harbor area. “We have expanded our high performance network in the area giving businesses access to a wide range of ethernet, internet, wifi and other advanced services,” he shares. The impacted businesses include some of the foundational industrial companies in the area including fueling, trucking, manufacturing and electrical organizations. 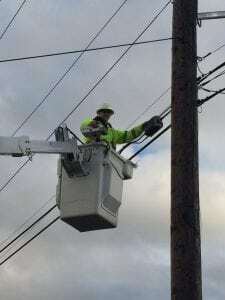 Local tech Trevor Hagen works the lines in his bucket truck, bringing faster service to Grays Harbor businesses. Photo courtesy: Comcast. Visit YouTube to watch an informational video about the Aberdeen expansion, including maps and detailed improvements. For more information on this project, call 866-429-3085. 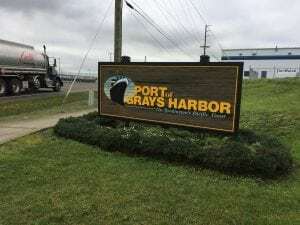 Businesses throughout the Port of Grays Harbor are impacted by the upgrade including foundational companies in fueling, electrical, manufacturing and trucking. Photo courtesy: Comcast. George Bernard Shaw wryly confessed that “The single biggest problem in communication is the illusion that it has taken place.” For local businesses and organizations, fast, professional communication is as easy as picking up the phone, tablet, or mouse thanks to Comcast Business.